Waiting for the nitty-gritty details about Verizon Wireless' long-awaited 4G network? Step back here after noon Wednesday, when company executives plan to dish on their plans for the major upgrade. The company's 4G Long Term Evolution (LTE) network aims to deliver faster speeds than its existing 3G network, which will primarily be of interest to customers who love watching video or downloading huge files on their laptops or smartphones. For those people who only plan to use the Verizon network to make phone calls, check email and surf a couple of websites, the move to 4G may seem more of a nonevent. 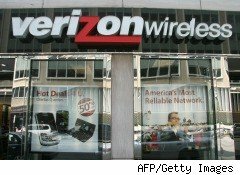 Verizon Wireless apparently plans to deliver details about its 4G network Wednesday that go beyond the information that has already been released. The company previously said it planned to make 4G widely available throughout the U.S. by the end of the year, and there's speculation it will charge a premium for people to use that service. Verizon plans to launch the service first in 38 major metropolitan areas. It offers a glimpse of what's to come in this video. But Verizon isn't the only game in town. Sprint (S) has its 4G network up and running, and AT&T (T) is gearing up to launch a faster version of its network as well, Then there's hedge fund bigwig Philip Falcone of Harbinger Capital Partners, who has similar plans for his SkyTerra. With all these carriers looking to offer faster and better, consumers -- especially data hogs -- stand to benefit.